As we live in an era of constant innovations and improvements, it is no wonder that some ancient activities, such as sailing, are changing as well. The latest innovation comes from the German shipyard Bavaria Yachts. Their brand new system of services is called BAVIS, or Bavaria+. When you scan a QR code with any smartphone or tablet device, this system will provide you with a lot of useful (and some less useful) information about your yacht. 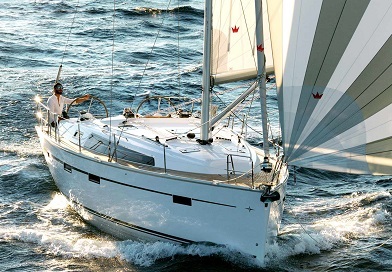 Charter a Bavaria yacht and discover how Bavaria+ service offers you tips and tricks about how to handle and use different systems aboard your vessel. It seems a lot easier and more comfortable to watch video-clips and be guided step by step than to read mostly incomprehensible user manuals. The Bavaria+ Shop allows you to quickly find spare parts for your yacht and to order or buy them online. The maintenance book is now available under the name Bavaria+ Check. Bavaria+ Academy is still under construction but is announced as a training center where every user would be introduced to the latest tips and tricks regarding any aspect of handling, maneuvering or maintenance of your Bavaria vessel, providing knowledge for a user’s deeper experience. There is no doubt that such innovations can improve the owner’s experience as well make a living easier to the staff of charter companies. However, I have met many old-fashioned base managers, craftsmen and service people who will be reluctant to adapt to the latest technology. Even though digital technology could help them do their job more quickly and more easy, it does not guarantee that the use of smartphones would make them more efficient. At the same time, they are some of the best masters of their craft I have ever seen, and I will be very sad when technology replaces them.